Cultural relations between Estonia and Poland are close and diverse. 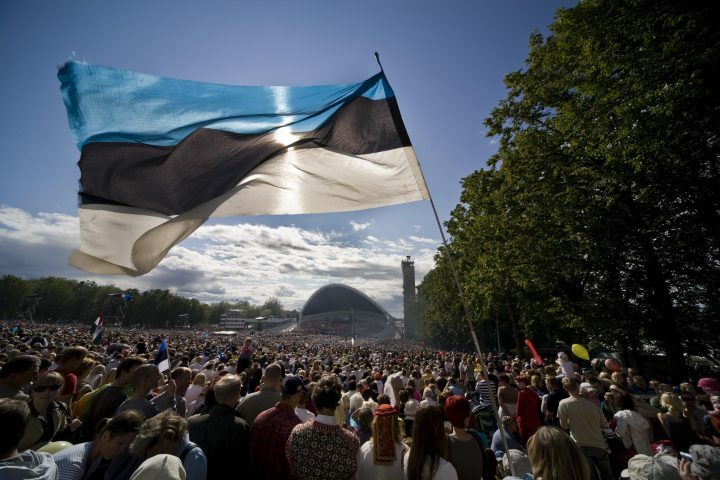 The cultural events of 2018 were naturally dedicated to Estonia’s centenary year. The most notable major events included Estonian cultural days in Poznań and Kalisz on 15-21 October, and the Estonian week in Gdańsk on 6-9 December. The programme of Estonian days is usually extensive and includes music, cinema, figurative art, and the promotion of tourism opportunities. In Gdańsk, the main focus was on the works of the R.A.A.A.M. theatre. 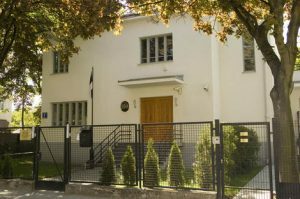 The Estonian Embassy in Warsaw is a member of a branch of the European Union National Institutes for Culture (EUNIC). The EUNIC in Warsaw organises events for showcasing European culture. The Estonian Embassy is participating in the EUNIC-organised European Day of Languages and the poetry projects Poems in the City and Spoke’n’Word. More information about the activities of EUNIC Warsaw is available on their webpage. Estonian as a second foreign language as well as Estonian literature and cultural history can be studied at the Hungarian Department of the University of Warsaw. René Virks is teaching Estonian at the University of Warsaw under Estonian Institute’s programme The Academic Studies of Estonian Language and Culture Abroad 2018-2027. Estonian can also be learned with Aarne Puu at the Kraków Jagiellonian University. In Poznan, the lecturer Robert Bielecki at the Hungarian Department of the Adam Mickiewicz University has taught Estonian, and he also wrote the first Estonian textbook aimed at Poles, published by the university publishing house. The works of Anton Hansen Tammsaare, Jaan Kross, Arvo Valton, Mati Unt, and Ellen Niit have been translated into Polish (a list of translations is available on the webpage Eesti.pl. In 2018, two Estonian children’s books were published in Anna Michalczuk’s translation. The same year, the sixth book in Polish, The World of Things of a Tallinn Resident in the Century of Enlightenment by historian and emeritus professor Raimo Pullat was published. When it comes to Estonian music, Polish music-lovers mainly appreciate classical music and folk music, however, Estonian pop groups are also making increasingly frequent visits to Poland. The works of Arvo Pärt, Urmas Sisask, and Heino Eller have been performed in Poland, and Ewert and the Two Dragons, Trad.Attack!, Elephants From Neptune, Vaiko Eplik and the Eliit, the blues band Bullfrog Brown, folk musicians Anu Taul, Triinu Taul and Tarmo Noormaa, and Svjata Vatra have all performed in Poland. In 2018, the main Estonian musical events included the concert by the Estonian Philharmonic Chamber Choir and the Tallinn Chamber Orchestra on the works of Arvo Pärt, the concert by Hortus Musicus at the royal palace in Warsaw, the concert of the Collegium Musicale choir at the Varsovia Cantans festival, Mihkel Poll’s concert at the Szczecin Philharmonic, and concerts by groups such as Naised Köögis and Estonian Voices. Estonian musicians also perform at festivals: in 2018, Pia Fraus attended the Halfway festival in Białystok and Maarja Nuut performed at the Sounds of the North festival in Gdańsk. Other notable events in 2018 in the field of music include the honouring of Arvo Pärt with the highest state honour of Poland in the field of culture – the Gloria Artis gold medal for services to culture, and the honorary doctorate awarded to him by the Fryderyk Chopin University of Music for his remarkable musical achievements and the universal depth of his works. Another lively event was the principal ceremony of the project Polish cymbal for Estonians – Estonian kannel for the Poles, where the exchange of national musical instruments was followed by a joyful folk music and dance celebration. Estonian and Polish filmmakers have a long history together and nearly every major Polish film festival usually includes an Estonian film. In October 2018, the film Take It or Leave It was screened at the Warsaw Film Festival and in November, the film Little Comrade was screened at the Camerimage festival. Estonia was the focus of the 58th Kraków Film Festival. The programme included six documentary films and a programme of animated films by the Estonian Academy of Arts. The opening film was Rodeo by Raimo Jõerand and Kius Aarma. A conference introducing Estonian production opportunities and film scene was also held during the festival. The Estonian Children’s Literature Centre has extensive experience in promoting Estonian art in Poland. The exhibition It’s Always Tea-Time, dedicated to the 150th anniversary of the initial publication of Alice’s Adventures in Wonderland by Lewis Carroll toured Poland in 2016-2017. In 2018, the exhibition Once Upon a Time…, inspired by the fairy tales of the Brothers Grimm was showing in Poland. In 2019, several cities will show the exhibition Running with Wolves, which tells the myth of the werewolf. Estonian photography is also popular in Poland. Several cities have exhibited images and portraits by Birgit Püve, and nature photography by Fred Jüssi. According to the Polish Office for Foreigners, as of the end of 2018, there were 191 Estonian citizens a right of residency officially residing in Poland. There are also businessmen, students and people working at international organisations who live in Poland temporarily. It has become a tradition for the Estonian community to come together for Estonia’s Independence Day and an annual end-of-summer garden party at the Estonian Embassy. Estonians are also meeting virtually in the Facebook group Eestlased Varssavis/Poolas. The Polish-Estonian Friendship Association has been operating since 1993; it is composed of people interested in Estonia and it organises various cultural and economic events. Since 2001, the Pro Estonia society, which brings together Polish youth, promotes Estonian culture in Poland.